Not all banners hang outside. We are able to use a number of different materials for you to be able to print beautiful pictures, or maybe just your logo to show off. Ask us about Titanboard, which is much like coreflute, but is used inside. It has a beautiful smooth finish, is light, but firm, and can be hung almost anywhere. It also has a very thin aluminium coating, so does not dent as easily as foamcore. 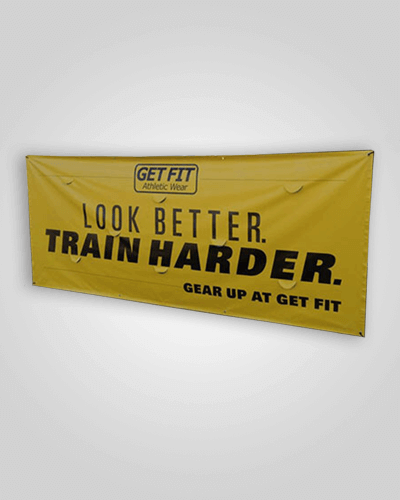 Banners are a great way to make an immediate impact, at relatively low cost. You can have a banner custom sized, at no extra cost, and we can print on many different types of vinyl or material, which will suite you best. Discuss the various options with Guy on (07) 5636 7736, or send us an email from the contact sheet. Banners can vary from small to the two HUGE ones we made to hang on the Storey Bridge in Brisbane, which were 22 Meters wide. For your conference, you will have invested a large amount on your stall, and in running your stall. It is relatively cheap to make your area look fantastic. This can be done in a number of ways, from pop-up walls, to banners that you can roll up and take from conference to conference, call us for help. 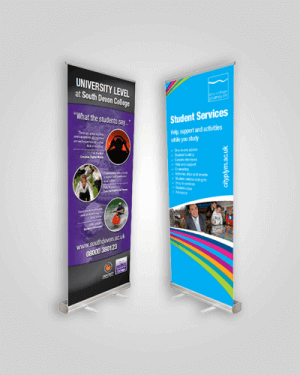 We specialise in pull-up banners, and can turn around small numbers of these in lightning fast time if required. Send us a quote request, or give us a call, and we will quote you on standard aluminium frame banners, however we can make executive style pull-up banners, no problem, and wider banners as well, just give us a call. 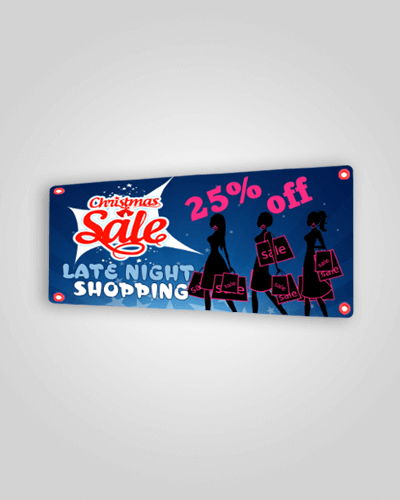 These can be almost any size, and are printed on 440gsm outdoor banner material. These can be finished in various ways, sewn with eyelets, kedar (sewn rope) edging, and can be laminated if the sign is going to stand out in the elements. We can also make signs on aluminium composite. These are great to attach to a wall or a fence, and can be laminated easily for extra protection. These can be small or very large, give us a call to discuss. These signs do not have to be as robust as outside banners, and can be applied to many different types of substrates. We can make these out of coreflute, which is great for outdoors, or foamboard or Titanboard. These two substrates are our favourites, as they are very light, and can be mounted on almost anything really easily. They also have a smooth finish, which will give your posters or signs that extra classy look.